Meet Laura Waldman. Also known as #thegirlwiththeladybughelmet or simply as Grom. 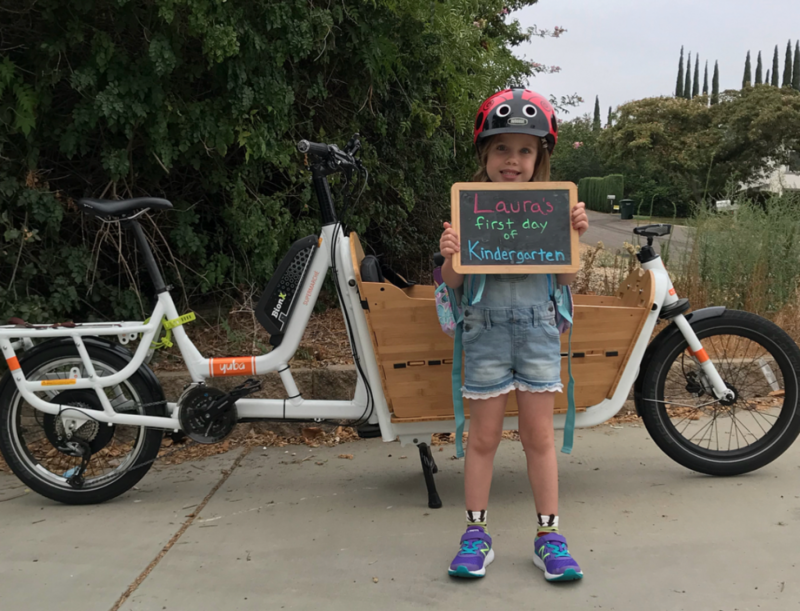 This little lady practically grew up on the back of a Yuba Cargo Bike (several Yubas actually) and she could be the next fresh face of Women’s Cycling, in about 10 years! The Waldmans are a crazy active family in love bicycles and everyone from Grandpa to Mom has their own Yuba Cargo Bike with a spot for Grom on the rack. They ride everywhere and anywhere in their Southern Ca community and even take the cargo bikes on vacation too. While Grom has moved on from her Giraffe Flip Flop, we’d like to think her little Yuba balance bike had something to do with her a ever-growing love of biking. It was at Sea Otter just two years ago we saw Grom fearlessly take her first lap around the kid’s pump track. “You have no idea the journey it took for her finally find a bike she enjoyed. I never expected for it to click for her like it did. All it took was a Giraffe bike that looked close to the bike she spends the most time on.” – Kerry Waldman (Dad). Today, at age 5, Grom is tearing up trails on her big kid mountain bike and we are totally convinced she is going to be a pro one day. Her dad hopes so too; a chip off the old block, eh.